Manufactura de Brânză is a a small local cheese factory in the Mureș County, just a few kilometers from Sighișoara, in the village Cund. It’s owned by Istvan, a young and passionate guy, who took the time to tell us the story of his small business, the story of the village and its inhabitants. Owning a small farm with cows in the village, producing cheese was a natural next step for Istvan and his family. 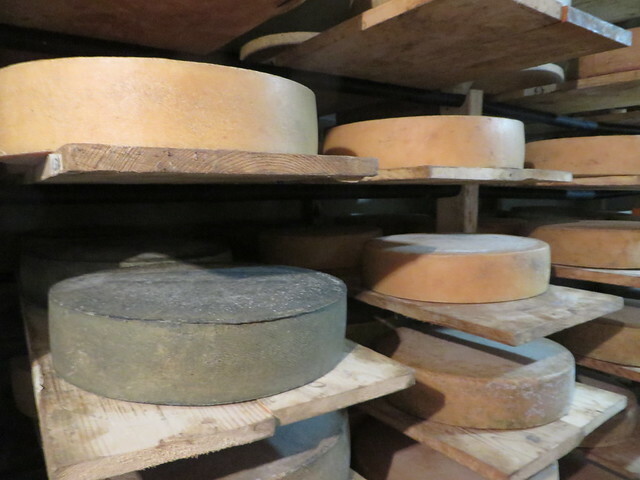 Fresh and local milk, from cows that run free on the hills surrounding the village is the secret of the tasty cheese assortments that he produces every day. Istvan pays a lot of attention to the milk they use for their cheese. 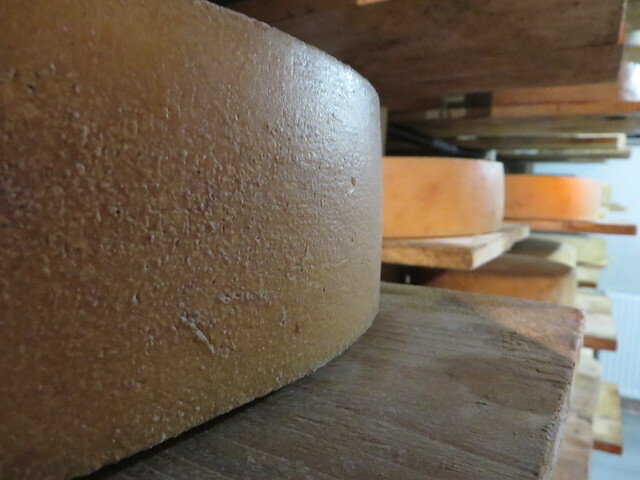 The cows get only natural food and Istvan says that this contributes a lot to giving the cheese an intense and natural taste. 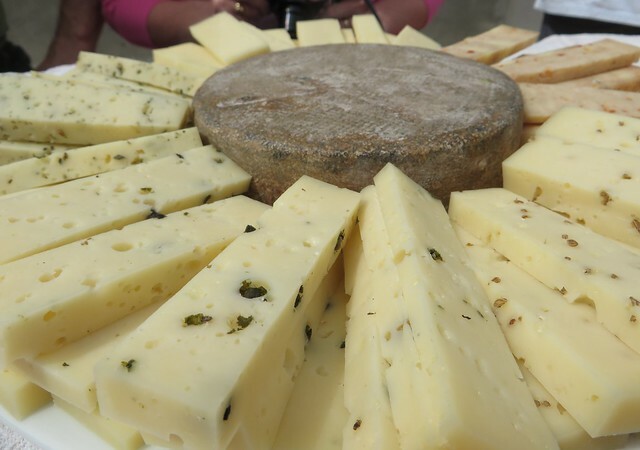 Manufactura de Brânză produces 2 months matured cheese with all sorts of extra ingredients to give each assortment a special taste. Whether we’re talking about the one with red wine, about the one with chilly flakes and dark chocolate or about the one with basil, all of them are very tasty and highly qualitative. The recipes used come from the mountains areas in Switzerland, Germany and Austria. 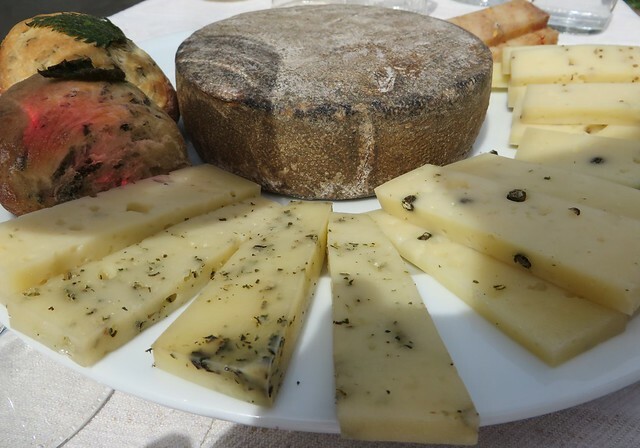 For our cheese tasting experience, we were welcomed with a plateau of all the cheese assortments available, accompanied by nettles bread and a local wine, a perfect combination to enjoy the taste of the matured cheese. The hosts also prepared some very delicious pancakes filled with, of course, the tasty cheese they produce. 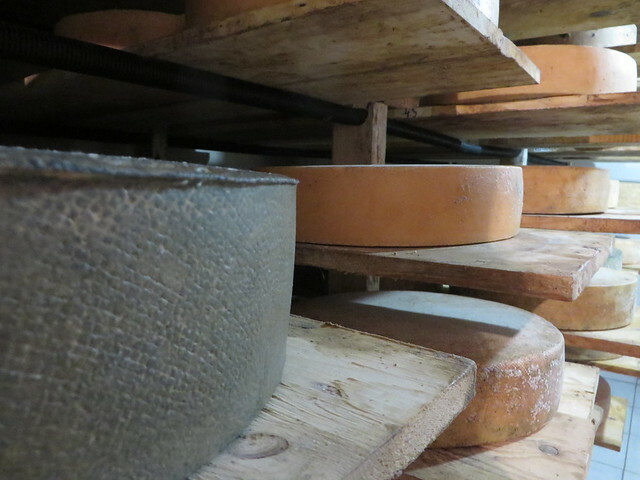 A tour of the small factory followed, with explaining the production process and with visiting the cellar where the cheese is kept for 2 months until it gets to its consumers. 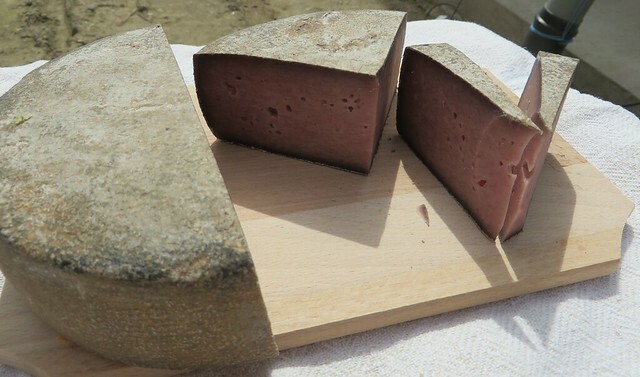 Although it’s only about 2 years since Manufactura de Brânză exists, there are plenty of restaurants and guesthouses who buy the matured cheese. Also, there are fairs and exhibitions around the country where Istvan takes his products for sale. 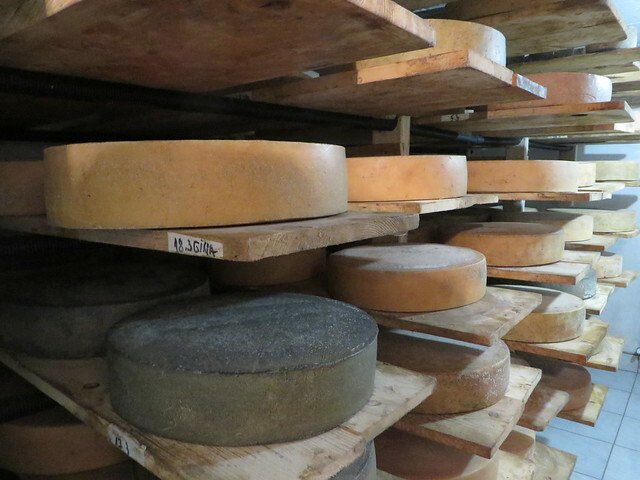 If you want to buy some cheese online, you will find some of them here. For us, the experience was a very pleasant one, as it’s always a true pleasure to meet passionate people who enjoy and appreciate the country side and promote local and authentic products, tastes and experiences. 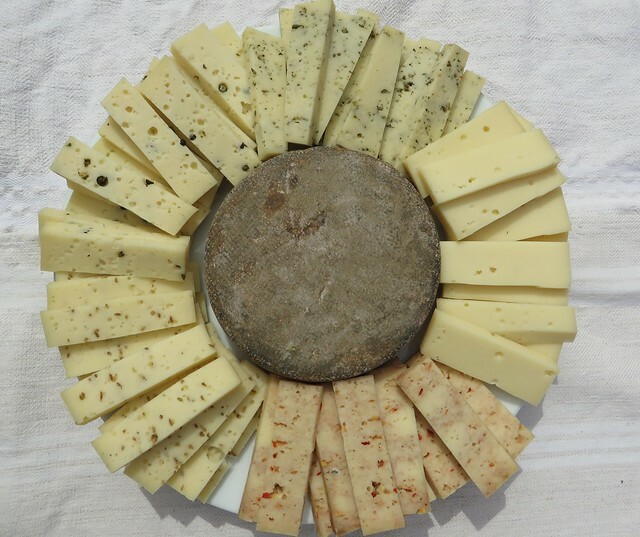 For cheese tasting events, you can contact them on their Facebook page or via their website.